Modern-day diets are often lacking in nutrition, in large part because food choices are not optimal. About 90 percent of the money Americans spend on food is for processed foods, which may be fortified with nutrients out of necessity but lack the naturally occurring vitamins, minerals, antioxidants and enzymes found in fresh whole foods. Even the healthy foods you choose, such as an apple or lettuce, are likely not as nutritious as they once were. Ancient wild plants provided an astounding level of phytonutrients that are largely absent from our modern cultivated fruits and veggies. “Studies published within the past 15 years show that much of our produce is relatively low in phytonutrients, which are the compounds with the potential to reduce the risk of four of our modern scourges: cancer, cardiovascular disease, diabetes and dementia. Industrial farming practices that threaten to completely deplete what was once rich and fertile soil further add to the problem. With each harvest, the land is stripped of vital nutrients plants need to grow, leaving not only lower crop yields but also less nutritious produce. That being said, you certainly want to harness the nutrients your food does contain so it can be absorbed and utilized by your body. This starts in your kitchen, where some surprisingly common habits might be slashing the nutrient content of your veggies even more. In her book Eating on the Wild Side, investigative journalist Jo Robinson details a decade’s worth of research on nutrients in fruits and vegetables. She focused not only on the “standard” vitamins like A and C and minerals like calcium and iron, but also on phytonutrients that are far newer in terms of scientific research. Lycopene — a carotenoid antioxidant that gives fruits and vegetables like tomatoes and watermelon a pink or red color — is one nutrient you’ll want to be sure you’re getting enough of. Lycopene’s antioxidant activity has long been suggested to be more powerful than other carotenoids such as beta-carotene, and research has even revealed it may significantly reduce your stroke risk (while other antioxidants did not). Lycopene has been shown to have potential anti-cancerous activity, likely due to its antioxidant properties. Studies have shown that people with a diet high in lycopene from tomato-based foods have a lower risk of certain cancers, particularly prostate cancer. However, lycopene is one example of a nutrient that becomes more bioavailable when it’s cooked. Research shows that cooking tomatoes (such as in tomato sauce or tomato paste) increases the lycopene content that can be absorbed by your body. So while tomatoes are healthy to consume raw, it’s also wise to consume them cooked as well. You could try a cooked salsa or make your own tomato sauce at home… if you opt for a store-bought variety, make sure it comes in a jar, not a can. You’re best off avoiding canned tomatoes and tomato sauces, as can liners tend to contain potent estrogen mimics such as bisphenol A (BPA), which is a toxic endocrine-disrupting chemical. Do you store your lettuce leaves whole? You may be better off tearing them before storing them in your refrigerator. When lettuce leaves are torn, a boost of protective phytonutrients are produced. As long as you eat the lettuce within a couple of days, you’ll be able to take advantage of this extra phytonutrient content in the torn lettuce. 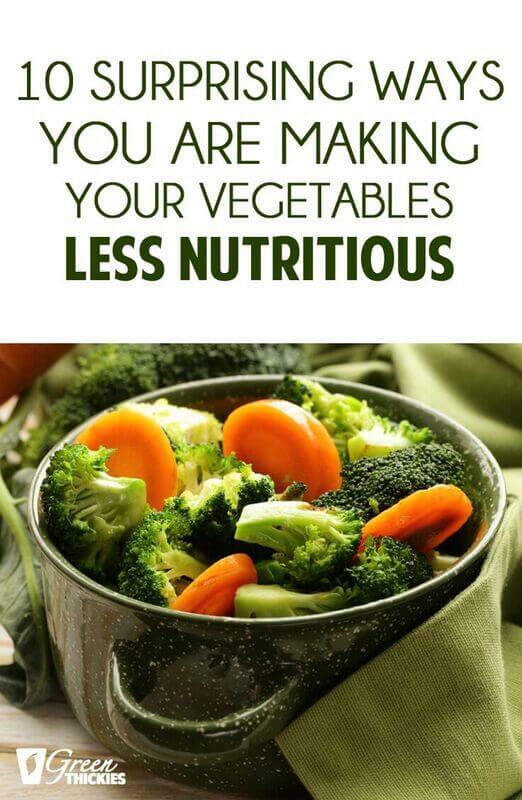 Do you boil vegetables like spinach? This allows valuable nutrients like vitamin C to leach out into the water. The different in nutrient content can be dramatic before and after boiling. For instance, after 10 minutes of boiling, three-quarters of the phytonutrients in spinach will be lost to the cooking water. While this isn’t as much of an issue if you’re making soup, in which you’ll be consuming the water along with the nutrients, if you’re looking to prepare a vegetable only, you’re better off steaming or lightly sautéing. One of the most important toppings on any salad is the dressing, and here you’ll want to avoid most store-bought brands, especially those that are low-fat or fat-free. When fat is removed from a food product, it’s usually replaced by sugar/fructose in order to taste good, and this is a recipe for poor health. Excess fructose in your diet drives insulin and leptin resistance, which are at the heart of not only diabetes but most other chronic diseases as well. Further, some nutrients and antioxidants are fat-soluble, which means you must eat them with fat to properly absorb them. Using a dressing that contains healthy fats helps you ensure maximum nutrient absorption from your salad. Other carotenoids, including beta-carotene and lutein, increased three to eight-fold compared to the no-egg salad. Garlic contains the precursors to allicin, which is one of the most potent antioxidants from the plant kingdom. In fact, researchers have determined that sulfenic acid, produced during the rapid decomposition of allicin, reacts with and neutralizes free radicals faster than any other known compound—it’s almost instantaneous when the two molecules meet. Garlic technically does not contain allicin, but rather, it contains two agents in separate compartments of the clove that react to form the sulfur-rich compound allicin when the plant needs it: alliin and an enzyme called allinase. So, what makes them react? This is what makes garlic such a potent anti-infective, as well as what produces that pungent aroma when you cut into it. Allicin is quickly deactivated by heat. Just two minutes on the stovetop or one minute in the microwave will basically eliminate any useful allicin from the garlic. Many Americans dutifully peel and chop away skins and upper greens on their veggies. 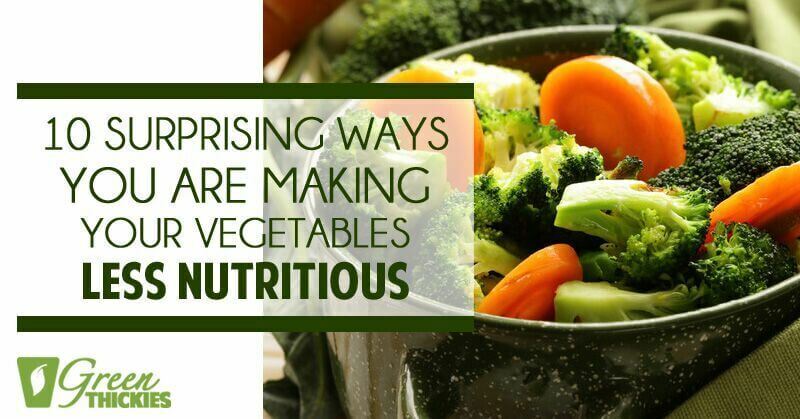 Yet, these components often contain the most concentrated sources of nutrients. For instance, the dark-green tops of scallions are among the most nutritious, but many people toss this section away. 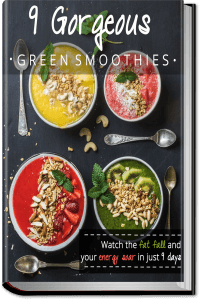 The same goes for beet greens, which are equally, if not more, nutritious than beet roots, with nutrients that may strengthen your immune system, support brain and bone health, and more. Watermelon rind actually contains more of the amino acid citrulline than the pink flesh.9 Citrulline is converted to arginine in your kidneys, and this amino acid is important for heart health and maintaining your immune system. While many people prefer seedless watermelon, black watermelon seeds are edible too and actually quite healthy. They contain iron, zinc, protein, and fiber. One caveat: if you’ll be consuming rinds or peels, opt for organic produce to minimize your intake of pesticides. I don’t recommend eating white potatoes often, as their simple sugars are rapidly converted to glucose that raises insulin levels and can devastate your health. However, if you do choose to eat them at least chill them for about 24 hours after cooking. This converts the starch into a type that’s digested slower, and turns this high-glycemic vegetable into a low-glycemic one. Broccoli is one of the healthiest, cancer-fighting veggies you can eat. But it’s also surprisingly perishable. One study found that broccoli can lose 75 percent of its flavonoids and 80 percent of its beneficial glucosinolates just 10 days after harvest.11When the broccoli was cut into florets, the rate of antioxidant loss doubled, so choose fresh, locally grown broccoli in whole-head form for maximum nutrition. Cooking dried beans from scratch is preferable to canned versions because of the potential for BPA in the can linings. However, the cooking liquid will hold much of the nutrients after the beans are done cooking. One trick is to let the beans sit in the liquid for about an hour after cooking to help them reabsorb some of the lost nutrients. Cooking beans in a pressure cooker may also preserve more nutrients than cooking beans using other methods. In 2010, PLOS ONE also published a study that was partially funded by the USDA, which found organic strawberries were more nutrient-rich than non-organic strawberries.14 So by starting off with organic ingredients, your meals will naturally be more nutritious. I firmly believe the solution for more nutritious food is to optimize the microbiology of the soil so the microbes can provide the optimal nutrients for the plant and maximize their genetic expression. Composting, vortexed compost tea, and mineral replacements are far superior to commercial fertilizers and also improve rather than degrade the quality of the soil. You can try using some of these methods to grow nutritious food yourself, or find someone locally who can do it for you. Choose brightly colored foods: Produce in shades of blue, red, purple and dark green are among the most antioxidant-rich foods available. Eat more bitter foods: Many of the most potent, disease-fighting compounds in food (phenols and polyphenols, flavonoids, isoflavones, terpenes, and glucosinolates) are bitter, acrid, or astringent in flavor. Expanding your diet to include these bitter-tasting foods is one of the healthiest moves you can make. Examples include grapefruit, arugula, collard greens, parsley, dandelion leaves, radicchio, cranberries, endive, and pomegranates. Indulge in herbs and spices: Many herbs and spices remain largely unchanged from ancient times. Along with containing some of the highest antioxidant levels of all foods, herbs and spices are also very dense in other nutrients such as vitamins and minerals, and they also have medicinal properties. As a general rule, you really can’t go wrong when using herbs and spices, and I recommend allowing your taste buds to dictate your choices when cooking. However, you can also choose spices based on their medicinal benefits. Grow your own foods from heirloom seeds, including sprouts: This is one of the best ways to access nutrient-dense food, especially if you use heirloom seeds that have been carefully cultivated to produce the best plants possible. You canplant an organic veggie garden even in small spaces, and sprouts, which are also among the most nutrient-dense foods available, can also be grown easily at home. Forage for wild, edible plants: Some of the “weeds” in your backyard or local environment are incredibly nutritious and very close to the wild plants consumed by our ancestors. Dandelion, stinging nettle, prickly lettuce, chickweed, sow thistle, red clover, burdock, cattails, Japanese knotweed, and sheep sorrel are examples of wild nutrient-rich foods. While you should only consume plants you are entirely sure are not poisonous, learning to gather safe, wild edible plants is quite simple.